Earn a certificate in organic farming through Delaware Valley University and Rodale Institute. Are you looking for a rewarding career you will enjoy? You can earn a certificate in organic farming in just one year. Be a part of producing healthy food, improving your community, and protecting the environment. Gain the training you need to join the rapidly-growing organic agriculture industry. After graduating, you can work for an existing organic operation or launch your own small-scale, sustainable farm. In our 36-credit program, you will gain hands-on farm experience and take classes offered by Delaware Valley University and Rodale Institute, the global leader in regenerative organic agriculture. Gain the knowledge and hands-on experience necessary to start a small-scale organic farm or work for an organic operation. The program offers assistance with job placement and developing business plans for farms so that graduates can easily move into rewarding organic agriculture careers. After graduation, students join a network of professional farmers who provide support and mentoring. 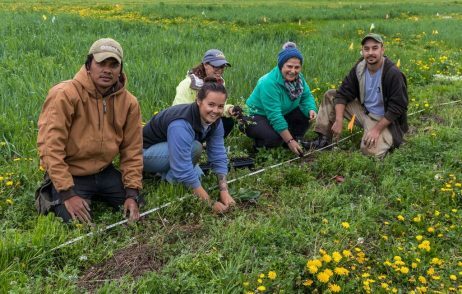 Students can also apply the credits from the Organic Farming Certificate Program certificate toward a Delaware Valley University bachelor’s degree in sustainable agriculture. Delaware Valley is a Yellow Ribbon school and accepts G.I. Bill. Financial aid is also available. To learn more or, request information, visit: delval.edu/organic.